Backtrack 15 years ago, and you will find a very different Waldameer. 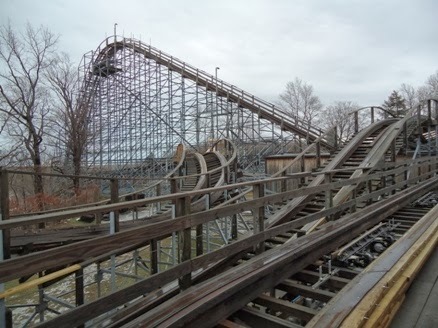 Ravine Flyer II existed only in blueprints, Steel Dragon was an empty lot, The North End was a former maintenance area, Mega Vortex was a collection of picnic tables, and no one was "XScreaming" as they dropped 140ft. So that might make you ask yourself the question...Which thrill ride was Waldameer's King of the Midway in 1999? I'll give you a hint. This thrill ride is the new check mark on our 2014 Improvements Map. 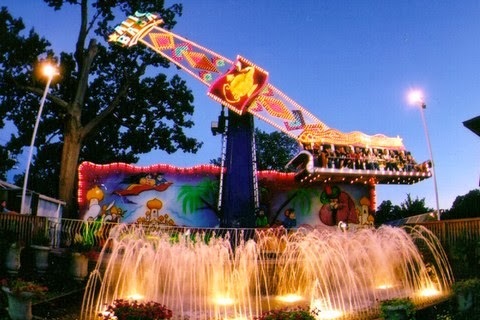 From 1999 through 2006, Ali Baba was Waldameer's tallest thrill ride, and second tallest ride in the park just behind the 100+ foot Giant Gondola Wheel. To celebrate a special 15th Birthday, Ali Baba deserves a present that benefits the thousands of guests each year that are thrilled by this magical flying carpet ride. 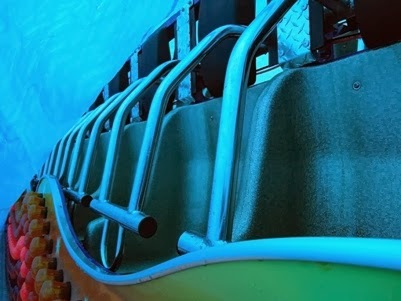 You might recall how Ali Baba used to feature one large safety restraint for each row of seats that was lowered to secure the entire row of riders at once. 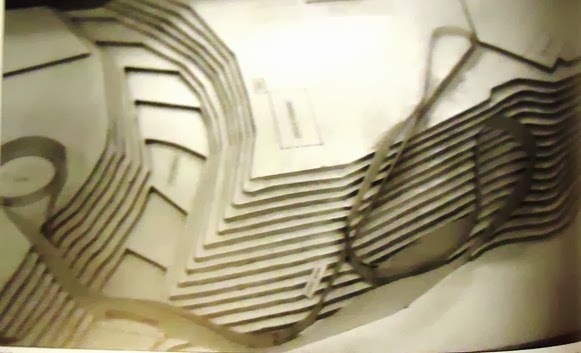 For the 2014 season, these two large safety restraints were replaced by individual restraints for each seat. No longer will you be surprised by the giant restraint coming down too fast, as you can now lower your individual restraint at the comfortable speed you choose. Even better, individual restraints mean a better custom fit for each individual rider which makes Ali Baba even more safe and more comfortable. Ali Baba's Birthday present all wrapped up. We couldn't help but peek underneath to see what's inside! See the gaps between the new individual safety restraints? Along with new restraints, we touched up the flying carpet colors and made some upgrades to the lights. 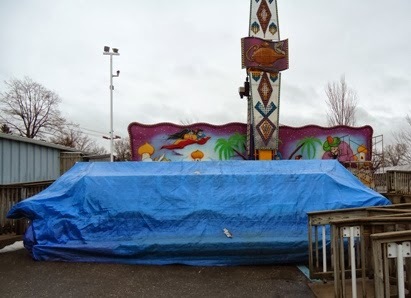 Ali Baba will surely sparkle like new as riders continue to enjoy soaring seven stories into the air. 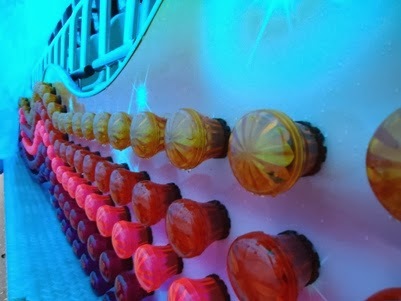 This is the lighting decoration that will be reattached to the flying carpet once we have Ali Baba put back together. The original all gold lights now are a colorful combination of blue, purple, pink, red, and gold. Happy 15th Birthday Ali Baba! Here's to many more! P.S. We have many other milestone Birthdays at Waldameer this year. Can you guess which rides are celebrating their 5th, 10th, 20th, 25th, and 50th Birthdays﻿?